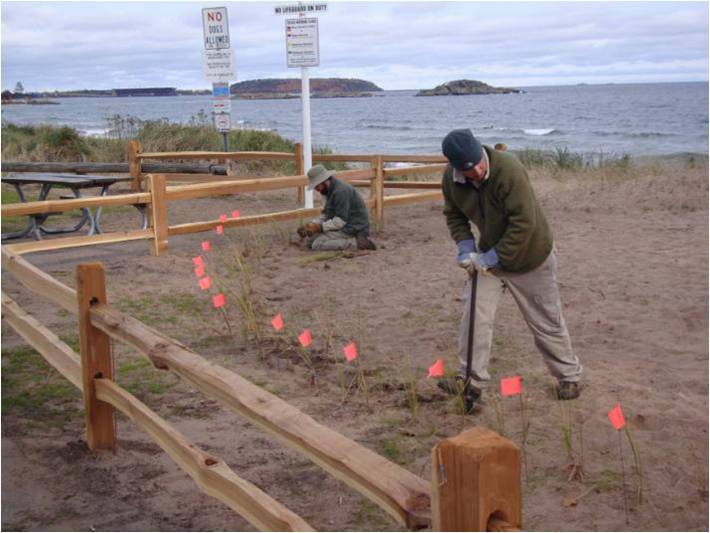 Since 2011 the SWP has partnered with a number of communities to protect and restore important coastal dune habitat along Lake Superior. 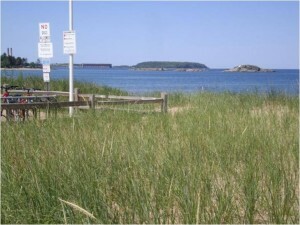 No other community illustrates this better than along the shores of Marquette. 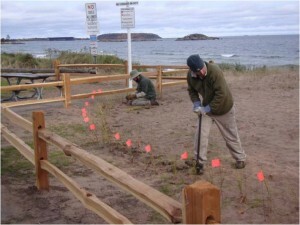 By partnering with local businesses like Borealis Seed Company, Federal Emergency Management Association (FEMA), and community groups, the SWP has restored nearly 6 miles of coastal dune habitat in the great Marquette Area. This results in improved road conditions and flood control at times of high Great Lakes levels. 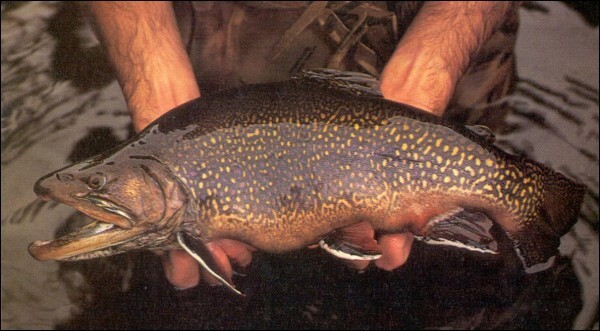 The Salmon Trout River is located in the Huron Mountains of the Upper Peninsula of Michigan and has become well known in recent years due to a proposed nickel mine near its headwaters. But the Salmon Trout is also known for being the last river on the south shore of Lake Superior with a naturally-reproducing population of Coaster Brook Trout. The SWP has completed over twenty large-scale, watershed improvement projects in the Salmon Trout. These projects prevent hundreds of tons of sediment from entering the river annually and smothering important fish habitat. All totaled over the last ten years the SWP, with local, state, federal and tribal support, has implemented nearly $1 million in protection and restoration projects just in the Salmon Trout watershed alone. The SWP works in Upper Peninsula watersheds draining to Lake Michigan, Lake Huron, and Lake Superior. 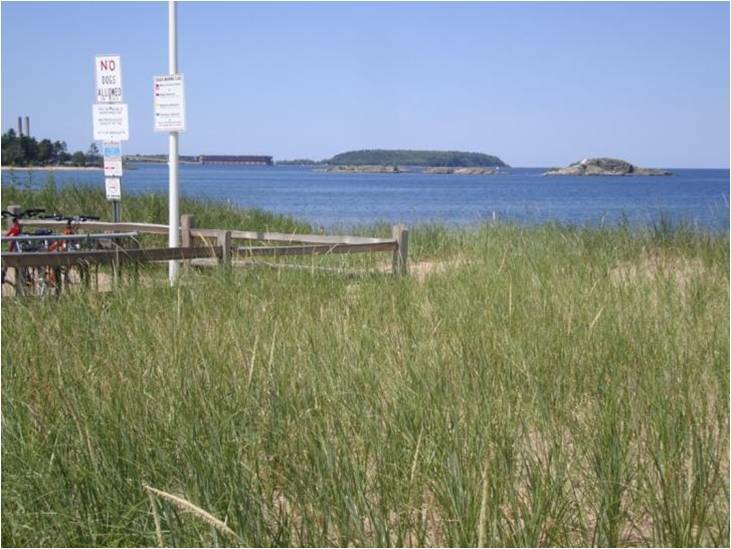 Other DEQ and EPA approved watershed management plans can be found here. 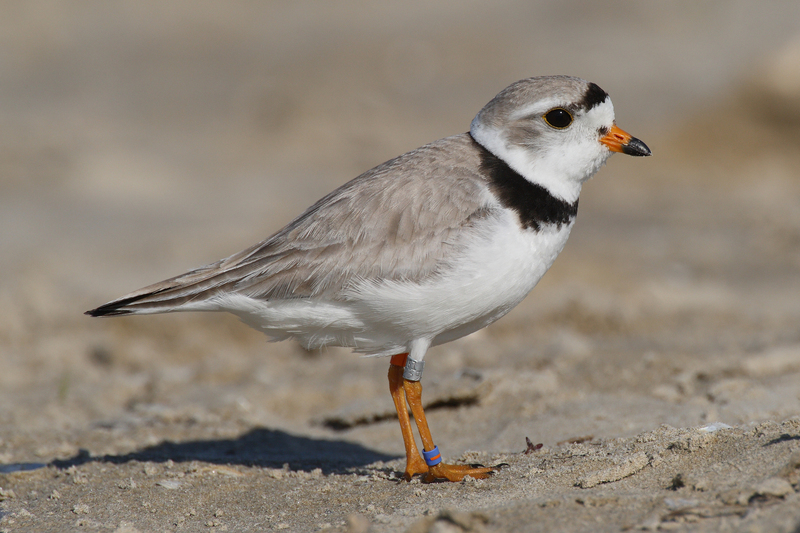 The SWP, in partnership with Lake Superior State University and the US Fish and Wildlife service, completed an exciting season protecting and restoring the federally endangered piping plover (Charadrius melodus). The following was accomplished for 2014. 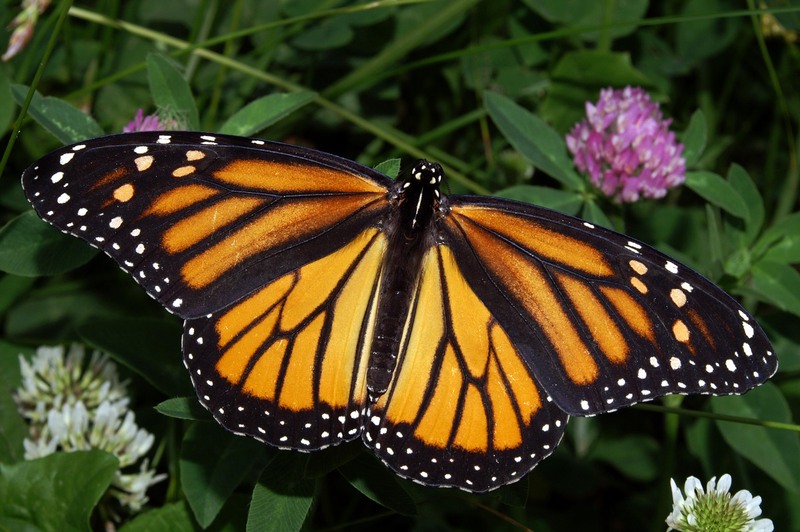 Since the beginning of 2014, the SWP and project partners have successfully restored over 16 acres of primary monarch butterfly (Danaus plexippus) in the Stonington Peninsula and Grand Island National Recreation Area (Hiawatha National Forest). Over 20,000 pollinator species were propagated and planted for these sites including milkweed, black eyed Susan, and so many more. Read more about it here. 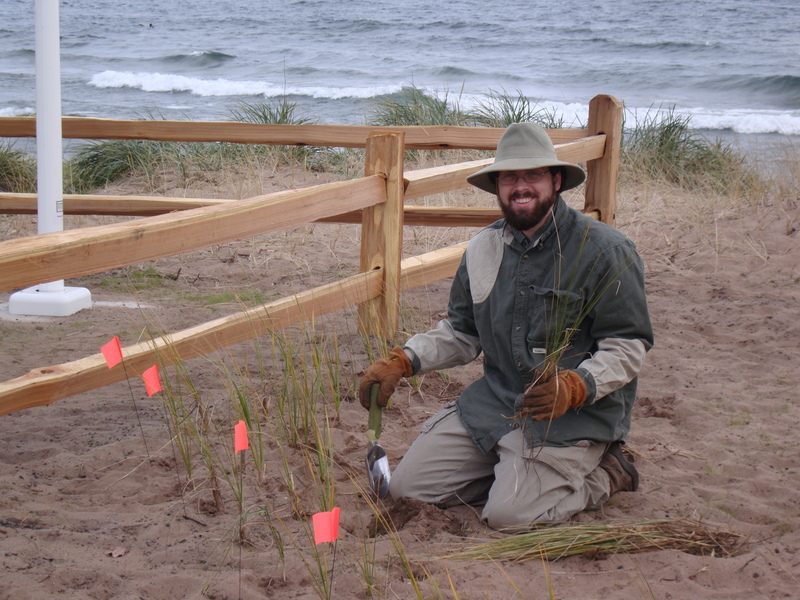 SWP staff (Field Technician Coleman Wilson pictured above) and dozens of volunteers have helped to make this project possible, in addition to continued funding from the National Forest Foundation (NFF), Monarch Joint Venture, and the Hiawatha National Forest. 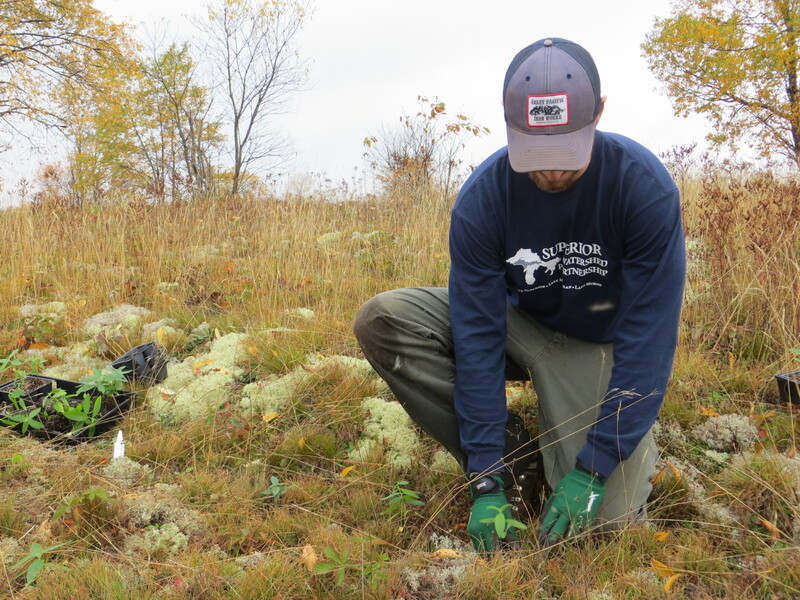 Just in 2014, 80 volunteers worked over 560 hours on monarch habitat restoration in the central Upper Peninsula. Recently the SWP was recognized by the NFF for monarch habitat restoration in the biannual publication Your National Forests (page 16). The SWP in partnership with The Forestland Group increased forest biodiversity and health and enhanced deer wintering habitat on 175 acres in Alger and Luce Counties in the UP. 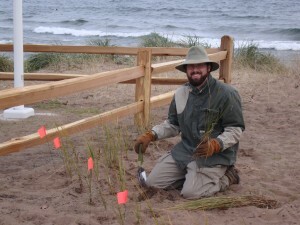 The SWP utilized its Great Lakes Conservation Corps to plant trees for wildlife habitat improvement in locations affected by a declining American beech complex.